Alarm Grid's headquarters are in Lighthouse Point. 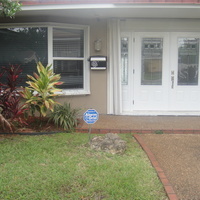 If you need home security in lighthouse point or any of the surrounding areas, give Alarm Grid a call today! 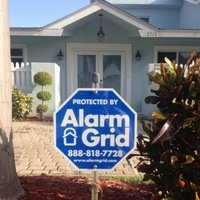 Alarm Grid is a security company located in Lighthouse Point, FL. Our nationwide monitoring is some of the most highly rated monitoring in the United States, and we are proud to offer it. As a company, our focus is on customer service and satisfaction. By using the wonderful tools provided to us on the internet, such as YouTube, Facebook, and more, we are committed to growing our company on the backs of DIYers by offering simple, helpful advice that will save you tons of money. If you are looking for a home security system, but you don't want to spend the kind of money that is required to get an installer to come out, give Alarm Grid a call today. Our helpful techs, FAQs and comprehensive videos should be enough to get you on your way to installing your own home security system today. "I may be an owner, but I have no problem paying the same low rates as everyone else!" Arturo, there are other z-wave water valves, and they are less expensive, but I haven't personally worked with any of them, so can't vouch for their compatibility. Not a lot of folks that I've worked with have used the water valve, maybe because of the price. Here are a couple of part numbers I ran across on Amazon, but again, I don't know for sure they'd be compatible. EcoNet Controls EBV105-HCM Z-Wave Water Valve, and here's another: Dome Home Automation Water Shut-Off Valve. This last is a top seller, but that may be because it's the least expensive. For the difference in price, I'd say either of these would be worth a try. The new Lyric system using the SiX Series sensors provides sensor battery icons (but not on the home screen). With the way the 5800 Series sensors are designed (they aren't bi-directional), there's no way to have a LYNX Touch show the actual battery status anywhere in the panel setting. Otherwise, I think that would be a good suggestion. Currently, no Honeywell system works with Alexa but we are expecting that the Lyric eventually will integrate and perhaps even the LYNX Touch systems at some point. The two-way voice feature is an option for the central station to talk to the end user through the panel. That feature exists now but we don't offer it. We may eventually and I've flagged your account so that if we do, we will let you know. I'm not sure I understand what you said about the thermostat but please email support@alarmgrid.com if you have issues with your system and thermostat integration so we can provide more help. The time being off an hour is probably a time zone setting change that is needed. If you press Security > More > Tools > enter Master Code > Date Time > and then hit the down arrow twice, you'll be able to see if it's set to the right time zone and if not, change it and save so that it auto updates to the proper time going forward. We suggest the Fortrezz WV-01 as a Z-Wave water valve that should work with your system. We don't sell it but you should be able to find it online elsewhere. It's used to control a water line coming into the house so that if you had a water sensor attached to the system that can detect water, you could program a Z-Wave Scene that turns off the water valve when the water sensor is activated to avoid a flood situation in your home. Wow too many typos! Sorry! I agree, but they should add some enhancements to fill the real estate on the panel, maybe an icon for sensor battery conditions. Local radar map by using some already available app or give users the option to add apps that want to see in the blank space. I don't see them adding any Alexia capabilities ehike others have. What is the two way voice all about? They gave to add features if it is just a ho hum piece of hardware. I do catch it changing my thermostat too much I. Its own - don't know why. Also the clock doesn't sync with the internet or GSM information available constantly off by an hour. What does the water valve controller cost and does it connect to my outdoor water things to turn on my sprinklers? There's not really a phone number for end users to call Honeywell directly. You could try communicating with them via their security blog - https://blogs.honeywellsecurity.com/ or the contact us page on their blog. I doubt they will be adding back the news and traffic services and I don't know of any other name brand system that does offer a feature like that so I doubt it's worth changing systems over this feature removal. Feel free to call us or email support@alarmgrid.com if you'd like to discuss other options though. What can be done to get Honeywell to add something or is there another backwards compatible panel as an alternative to Honeywell? I am usually brand loyal until something like this happens then I look for alternatives. Is there a Honeywell office I can call? Yes, we were disappointed as well. We much prefer when Honeywell adds new features instead of removing existing features. That's too bad, they should have said something or offered a discount or something to replace it - lots of unused screen space. Disappointed. Unfortunately, Honeywell discontinued the news and traffic information services in September of last year. You can still get the 5-day weather forecasts but the weather and news services were removed because Honeywell said that their internal analytics showed that not enough users were using those features for it to be worth their time and resources to continue to support. How do I get the traffic and news icons back on my screen? I noticed the weather is updated but not the news or traffic, not since August 2016 - rebooted the panel and now the icons are gone. The panics are zone 95, 96, and 99. Zone 99 defaults to a silent panic, which is interpreted by the panel as a police panic (24 hr audible will also be interpreted as police panic). Programming one of these zones as Fire (device type Fire, Response type Fire No Verification) , one as Medical (Device Type Medical, Response type 24 Hour Auxiliary) and one as Police (Device Type Police, Response Type 24 Hour Silent, or 24 Hour Audible) will make the three panic buttons behave the way you want them to locally (each should be programmed as a Panic Trigger under Supervision). If your system is reporting to a Central Station and you want these zones to report too, be sure Alarm Report says "Yes" for each.